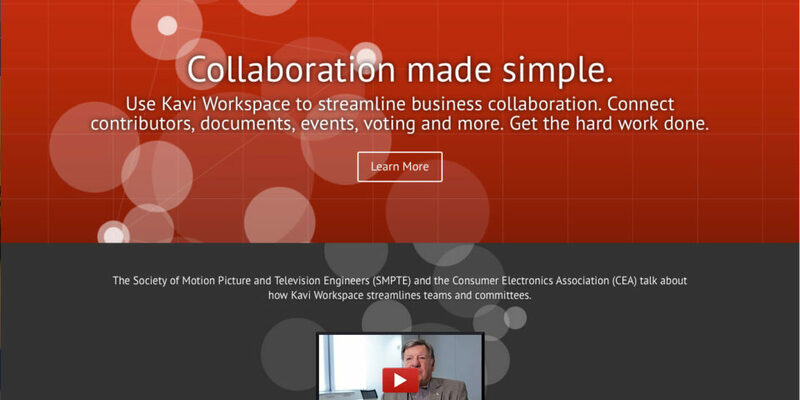 Kavi is a long-time provider of collaboration software for standards development organizations. 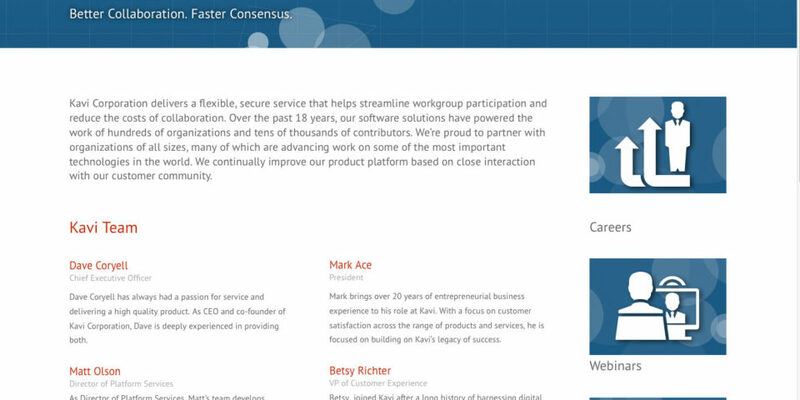 As such, Kavi needed a web presentation that would present the deep technical nature of their solution, but would bring the people aspect of collaboration forward in a very strong way. We used a simple, responsive commercial theme to create an extensible web presence for Kavi. The design was embraced by the company and is now reflected in everything from email newsletters to tradeshow banners and print ads.